Don’t attach importance to what others think of you. It never really matters. A couple of days ago I got an email from someone who lives in Plano, Texas. This gentleman was prompted by YouTube to watch the film Rise In Love that was made, on the companionship that Vaani and I have, by a younger film-maker Shalu who, after reading my Book Fall Like A Rose Petal (Westland) was inspired to explore how love thrives in the face of adversity. The gentleman wrote to ask how is it that I dared, with Vaani, to share our story of ‘failures’ so openly in a conservative socio-cultural environment like India, particularly in South-India? He wondered if we weren’t scared of the social stigma as a fall out of our being so open and sharing – of being bankrupt and of being seen as people who are losers in Life. I totally appreciate the question and understand where it comes from. But, thanks to this experience, of our bankruptcy and failures (per the worldly definition), both Vaani and I have come to realize that what other people think of you has no bearing on your Life. It can’t and doesn’t make your Life tick. 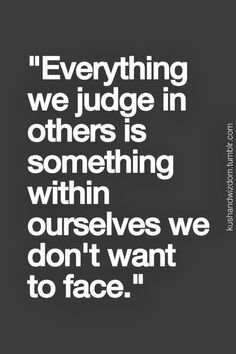 There is only one judge in the world and that is the one that looks back at you from the mirror. If you can be true to that one person that you see in the mirror daily, you seriously do not need to validate yourself anywhere else. I see Life only from what is. Yes, we made mistakes with the way we ran our business and our Life. Yes, we went bankrupt. Yes, we struggle without money. And work. These are indisputable facts. But just because all this is real, I am not going to let social labels of ‘failure’ or ‘loser’ stick to us. I treat everything now, praise or criticism, or worldly definitions of success and failure, whatever, as something that comes scribbled on a Post-It note, which the world tries to stick on me. And I simply peel it off me and chuck it away. That’s how I shed the grief, guilt and trauma, associated with my mother calling me a cheat (over our inability to repay loans taken from the family), and learned to move on. Vaani and I are very clear about our intention – we remain accountable and responsible for what we owe our 179 creditors. I don’t really care what people think our intention as long as we hold it sacrosanct between us. We have also discovered that when you wear your Life on your sleeve, a majority of the people who come into your Life are actually compassionate. It is only a minority that judges you and pins labels on you. Intelligence lies in choosing to ignore that judgmental minority, to un-label yourself, peel off and chuck away labels that have been stuck on you, and carry on living. So, my learning is that it doesn’t matter what others think of you. Let them have their perceptions and let them form their opinions. You focus on living your Life the way you want to, being true to yourself and to the God within you. If someone has a problem with you, whose problem is it? If someone sees you as their problem, it is, seriously, their problem – not yours! A friend called me to share how his brother has been making Life miserable for him in their family business. Although a formal separation has been gone through between them, my friend’s brother is insinuating and charging his sibling with transgressions and non-compliance. “I have no problem with him. And I have no problem with the share of the business that I have been left with to manage. I feel very disturbed that my brother has a problem with me,” lamented my friend. Now, this could be anybody’s story. People often have problems with other people. And if you happen to be, like my friend, with whom someone has a problem, you too may want to learn to simply ignore it. What can you do if someone has a problem with you? At best you can hear their point of view and if there’s something to learn, something to unlearn and something to change in you, you can go to work on it. But what if someone continues to have a problem with you despite your best efforts and intentions to appease them? 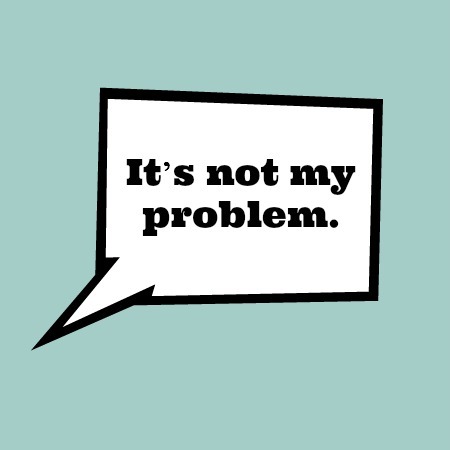 More important, what if you are someone’s problem – not what you do or what you don’t do? Well, the most sensible response must be to shrug off that viewpoint saying ‘too bad’ and move on. It is when you lack that discerning ability, and instead grieve over why you are being perceived wrongly, that you suffer. When you grieve and suffer over such inconsequential opinions, you sometimes end up becoming a problem for yourself. And that’s such a sad thing to happen. So, develop a more evolved and mature view of Life. You can only control what you think and do. You cannot control what others think and do. So, if someone’s insists on having a problem with you, let them have the pleasure of keeping it that way! Why work overtime to displease or dissatisfy them? Author AVIS ViswanathanPosted on October 17, 2015 March 14, 2016 Categories Art of Living, Inner Peace, Intelligent Living, Let Go, Move On, OpinionsLeave a comment on If someone has a problem with you, whose problem is it? No one is good or bad. Everyone is a product of the time that they experience/go through. There’s so much talk about corruption in high places in India today. And the lack of morality in power centres. All of us lament of a basic erosion of value systems. Social Media offers the perfect platform for people to give free, unsolicited advice and opine on how other people must be leading their lives. So much time and energy is being expended on hashtag activism against the political class, the corrupt and those who invite public scrutiny and attention. Let’s divest ourselves of indulging in such wasteful opinions and invest in introspection instead. We are all as corrupt as anyone else is. If you pay a bribe to have a cop let you off for breaking a signal, if you drink and drive, if you support a communal (anti-human) point of view, if you pollute the environment by indiscriminately using plastic, if you private ogle at someone, you are as corrupt as the people who are accused of financial and criminal wrongdoings. Period. True character is who you are when you are in a dark room, alone, when no one is watching. So, before rushing off to opine, let us look into the mirror. As someone famously said,”Every Saint has a sinful past and every Sinner has a saintly future!” Amen! What others think of you does not really make your Life tick! Learn to accept that people have a right to their opinions. Don’t resist either the people around you or their opinions. Simply move on. A lot of our quality time is lost in giving credence to other people’s opinions. From experience I can tell you that this is an absolute waste of time. What others think of you does not really make your Life tick. Period. Only when you give an opinion attention does it grow to be a problem – as in something that you have to deal with. If you just view an opinion as a mere statement, a string of words, and choose only what you want to internalize and discard the rest, there will be no problem. Consider this example. I give you a pen as a gift. If you accept it, who does the pen belong to? It belongs to you. If you choose not to accept it and say that you don’t take gifts as a matter of principle, who does the pen now belong to? It belongs to the giver, me. Now instead of a pen, if it was an insult or an opinion, you have the same option. You can leave it, the “gift”, with the giver and not take it. You grieve only when you accept the opinion or insult and agonize over it in your mind – she said that, but why? ; how dare he do that to me? ; I need to teach them a lesson; I need to show them who I really am and such. The more you grieve the more you suffer. And that’s why most relationships end up withering away – simply because you don’t have the ability to let people have their opinions! Opinions are of two kinds – serious, honest feedback and frivolous, even destructive, criticism. You have a choice to internalize and learn from the first kind. If you do, don’t let your mind complain about it by chewing on it endlessly. Someone said something you can learn from. Learn and move on. The second kind of opinion, the destructive criticism, just ignore and move on. Now, moving on is not always easy. The legendary Bollywood film-maker Yash Chopra would take weeks to recover whenever his films flopped. Obviously the reason why a film flops is because of audience opinion. Chopra would lock himself up in his room and step out only at meal times. For weeks he would do this until he “healed” from the criticism and until he “learned” from the feedback. So, like Chopra, choose your own method for dealing with opinions. But whatever it is, don’t grieve and agonize, and resultantly suffer, over what others have to say. We create our own problems by wanting people to be different from who they really are. It is because they are a particular way that they have opinions such as the ones they make. 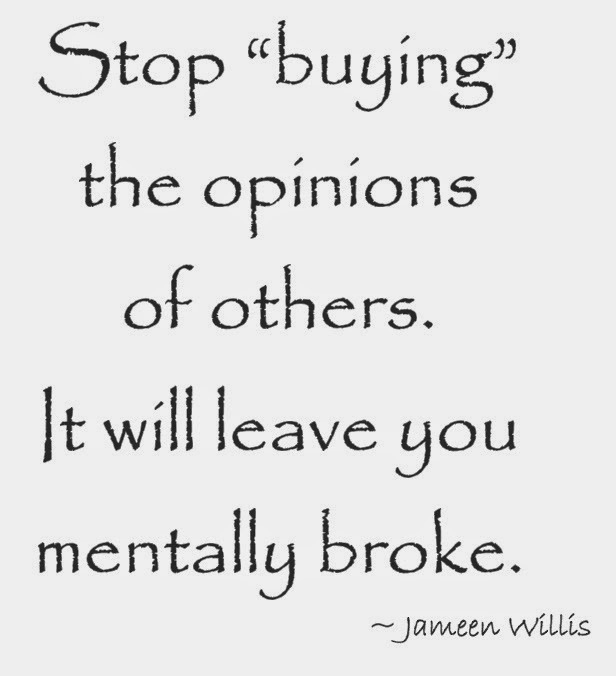 Accept people for who they and know that they are entitled to their opinion, just as you are entitled to yours. When you remind yourself of this empowering perspective, every time you hear an opinion contrary to your own, you will find the energy and the ability to drop the opinion, to not judge the person who delivered it and to move on! 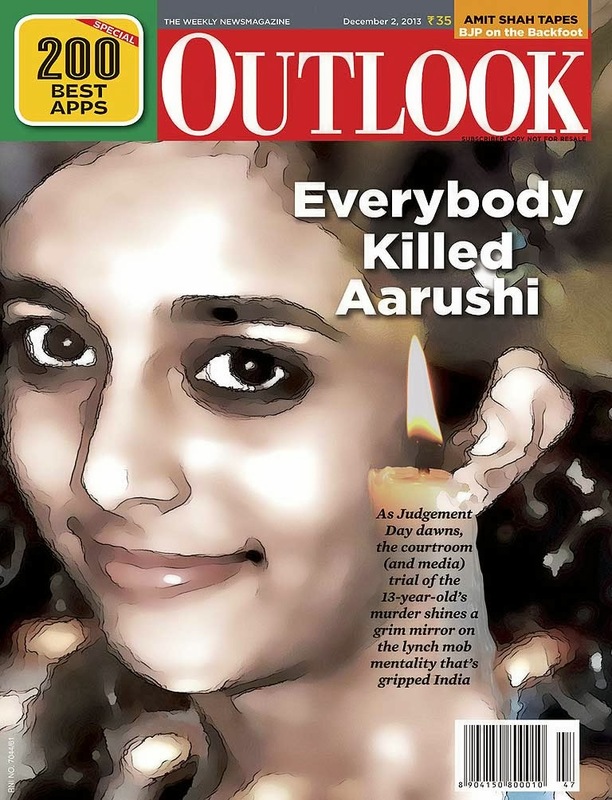 Author AVIS ViswanathanPosted on December 29, 2014 March 14, 2016 Categories Art of Living, http://schemas.google.com/blogger/2008/kind#post, Inner Peace, Insult, Intelligent Living, Opinions, Suffering, Yash ChopraLeave a comment on What others think of you does not really make your Life tick! What others think of you is none of your business! Seriously!! A common trap we all fall victim to is to grieve over the perceptions that others have of us. For some strange, inexplicable reason, what others think of us, always, matters more than what we think of ourselves. And while these opinions, that others have of us, cause us untold hurt and, often, suffering, we still continue to give them the importance that they absolutely, simply, don’t deserve. There are only two kinds of opinions. One that creates value – which is, when you heed them, they help you become a better person, professional and human being. The other kind debilitates. It hurts. It is the second category of opinions that we must be wary of. We can’t escape them. But we sure can choose not to let them affect us when they are thrown at us! I learnt this lesson the hard way in Life. For a long, long time, well into my late thirties, I would hurt from others’ opinions of me. Which, predictably, varied from the banal to the absurd. I would work hard at clarifying to people who had read me wrong or strive, even harder, to change their opinion of me. In trying to do all this I would grieve and suffer endlessly. Then, one morning, I read this quote by the famous philosopher and thinker Jiddu Krishnamurthi (1895~1986): “The ability to observe oneself without evaluating is the highest form of human intelligence.” I remember that I was in the middle of my daily practice of mouna – observing an hour of silence. My business had collapsed. There was no money to even support the family. I had to deal with a lot of creditors – each of whom were driven by their urgency to recover their money that was stuck with me/in our business. So, each one employed a different method to force me and my business to pay up. A common approach many used was to accuse me of being a cheat. It was humiliating at one level and very, very painful at another. Soon the perception that I may be faking a financial crisis spread to my own family. And when I was called a cheat among people with whom I shared a blood relation, I was devastated. That was when I came by Jiddu Krishmamurthi’s quote. I read it a few times that morning. Then it struck me that if one had to ‘rise’ above judging oneself, in order to stay anchored and peaceful, what purpose did it serve to worry about others’ opinions of you? In a flash I awakened to the pointlessness of it all. Ever since, I have let my awareness build a protective shield around me. People still opinionate about me, my actions and my Life. These opinions come flying at me. But they bounce off my awareness – unable to touch me or affect me. That is so true. And that’s all there is to it! Let people keep judging and opinionating. 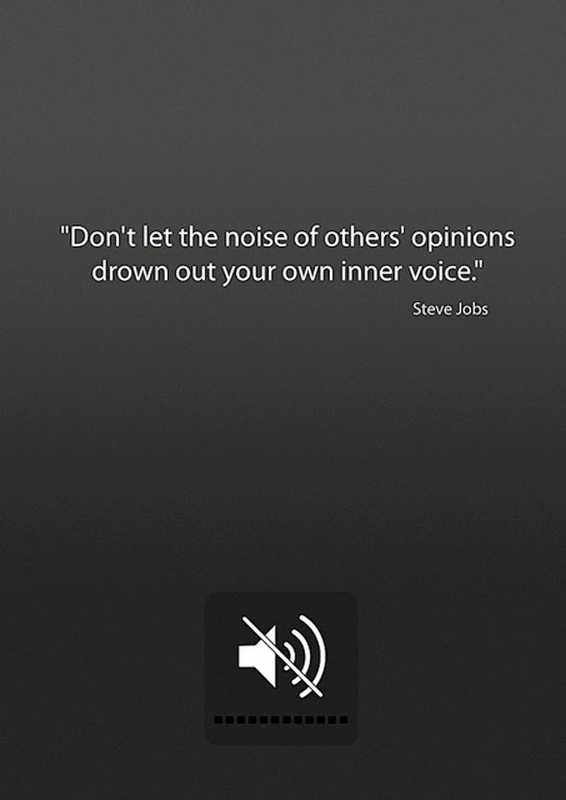 If their opinions are constructive, take them on board. If they are aimed at only causing you insult and injury – beware! You can’t stop them from coming at you. But you can well choose to ignore them! An opinion that you don’t allow to affect you is nothing but a harmless heap of words. You give that heap the stature of an insult and the power to injure you by taking it seriously! “I am constantly wondering about what others are thinking of me. I don’t agree with many things that are going on around me – in my family, among my colleagues at work, in society. But I never say anything because I don’t know how my views will be received,” he said. I asked him if he was happy living the Life that he was living – suppressing his opinions and always wary of how he was being perceived. “Of course I am not happy. I am gritting my teeth when things that I don’t agree with happen and am often angry with myself,” he confessed. I told him that he must stop worrying about what others think of him. The moment you try to please others you have lost the game of Life. The ego thrives on others’ opinions of you. But the real you, your being, needs no such crutch. It can stand on its own. The person whose ego needs others’ opinion to stand up will always be compromising. And any compromise, whatsoever, in any circumstance, is always against your real state, your “being”. When you compromise, you have allowed your true self to be affected. This is what makes you unhappy. The other way of looking at this is – don’t let anyone, anything, anywhere, anytime, come in between you and your inner peace and your happiness. The moment you are feeling unhappy about a person, a situation, an event, pause and ask yourself why you are feeling the way you are. Go to the source of your unhappiness and make sure you remove it. If it is something that you cannot get rid of, at least, accept it. Bottom-line: don’t grieve. For, it’s hardly intelligent to live your Life grieving, worrying about what others will say or think of you. 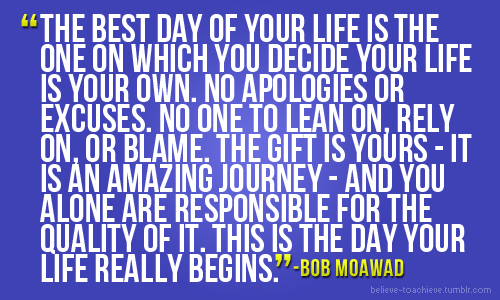 Remember – it’s YOUR Life. No one, no one absolutely, other than you, has a right over it. Author AVIS ViswanathanPosted on September 10, 2013 March 14, 2016 Categories Art of Living, Compromise, Inner Peace, Intelligent Living, It's Your Life, OpinionsLeave a comment on It’s your Life!